This is a picture of the Old Narragansett Church which now stands in the Wickford Historic Village in Rhode Island, USA. It is one of the oldest churches in this part of the USA. It was built in 1707. The Church had originally been located outside of Wickford but in 1800 it was moved to a more central location in the village. It was used as the parish church until 1848, when a new church, St Paul’s, was consecrated. Today it has been restored and some services take place there every year. 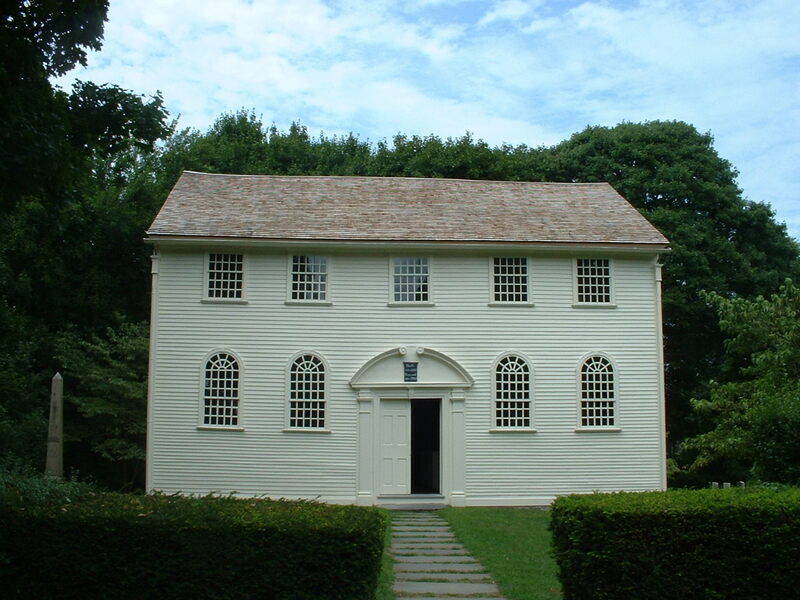 Gilbert Stuart, famous for his painting of President George Washington, was baptised in the Old Church.